Putting numbers to this theory, the cost difference is dramatic. Vanguard was saving its index fund investors about 1.8 percent per year—the expense ratio of the Vanguard 500 portfolio was 0.2 percent versus 2.0 percent for the average equity fund (expenses plus transaction costs). To put that amount into perspective, in a market with a 10 percent annual return, an index fund might provide an annual return of 9.8 percent, while a managed fund might earn an annual return of 8.0 percent. If this happens, over 20 years, a $10,000 initial investment in an index fund would grow to $64,900, while an identical investment in a managed fund would grow to $46,600, a difference of more than $18,000 in the accumulated account value. Put another way, even if a manager could beat the index, they would have to consistently beat the index by more than the cost of the labor required to beat the index. Fees matter, and the higher the fees the greater the hurdle of beating the index needs to be in order to justify those fees. In general Bogle maintained that trying to outperform the market was a futile exercise. “Index funds,” he said, “are a result of skepticism that any given financial manager can outperform the market. How can anyone possibly pick which stock funds are going to excel over the next 10 years?” In this context, the best strategy is simply to try to match the market in gross return and count on indexing’s low costs to earn a higher net return than most competitors. For Bogle, an index fund modeled on the S&P 500 was only the beginning. 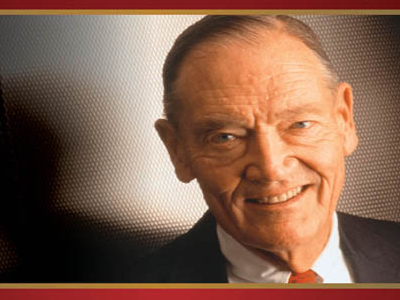 As the Vanguard 500 fund grew in market acceptance and successfully operated at minimal cost, Bogle’s confidence in the concept increased. The Standard & Poor’s 500 represented roughly 70 percent of the market’s capitalization. What about a portfolio that tracked the remaining 30 percent? Vanguard’s Extended Market Index, formed in 1987, enabled investors to do exactly that, tracking the Wilshire 4500 Index. Later, to simplify the process of holding both the S&P 500 Index and the Wilshire Extended Market Index, Vanguard offered the Total Stock Market Index, essentially owning the entire stock market by tracking the Wilshire 5000 Index, the most comprehensive market benchmark available. … Today, assets in the Total Stock Market Index actually exceed those in the S&P 500 Index, and Bogle himself prefers it as the best proxy for the U.S. stock market. The Vanguard Total Stock Market ETF (VTI) is by far one of the best ways of participating in the lion’s share of U.S. equity market returns with an expense of only 0.07%. We recommend this fund as part of our gone-fishing portfolio. Fees matter. Check the expense ratios on your funds.